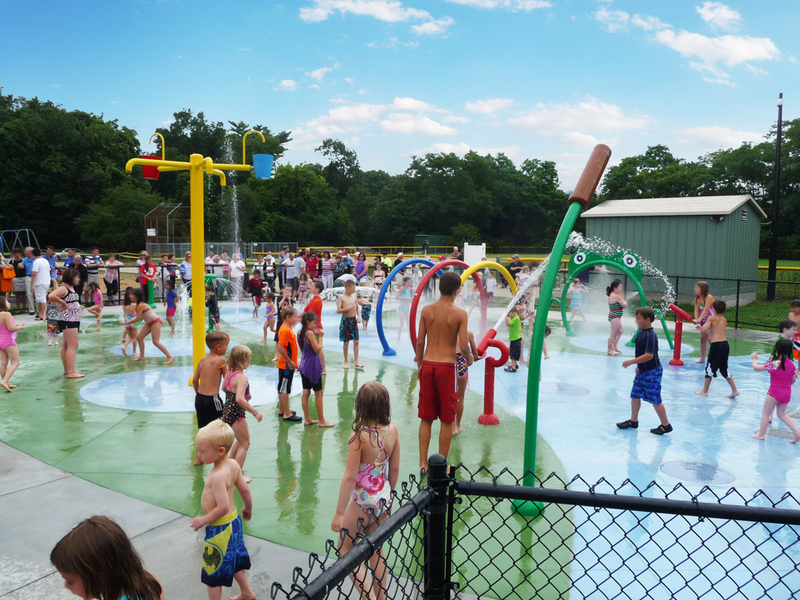 The Petersen Splash Pad at Watson Park is the fulfillment of a grant to the Town of Braintree for aquatic recreation and is the first of several splash pads planned throughout town. Warner Larson led this project through permitting with the local Conservation Commission and Massachusetts Department of Environmental Protection for development within the tidal floodplain along the Weymouth Fore River. The recirculation system includes state-of-the-art water filtration and treatment that is sealed from rainwater and floodwater. An innovative diverter valve redirects rainwater and floodwater through a rain-garden. We specified board and shingle architectural finishes and colors for the filter building that gives this utilitarian structure a park-like feel. The brightly colored splash pad and water play components compliment an existing children’s playground, ballfields and walking trails within Watson Park.